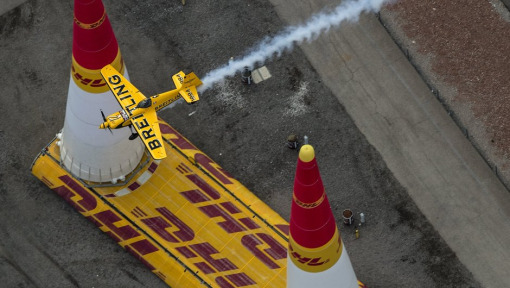 The final rounds of Red Bull Air Race World Championship are around the corner! 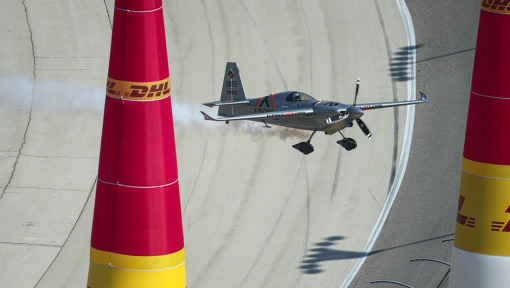 The world's fastest pilots will go head to head in the big showdown on October 14th and 15th at the Indianapolis Motor Speedway. 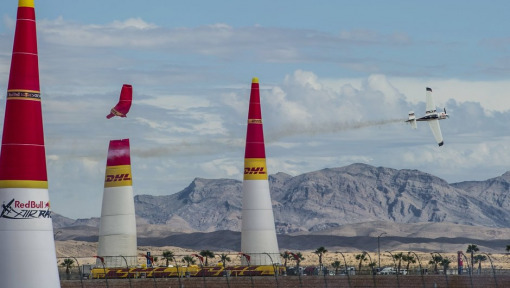 Win a trip to Red Bull Air Race in Indianapolis, a behind-the-scenes tour and the unique opportunity to present the DHL Fastest Lap Award to the winning pilot! 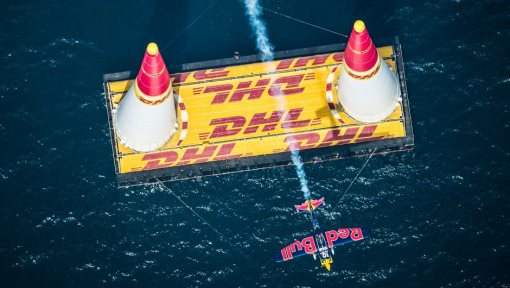 Estimate the distance covered by the Red Bull Air Race planes as they are transported by DHL between Germany and USA (scroll down for a hint). The person who answers with the correct distance or comes closest to it will be our winner. If more than one person comes up with the right answer, the DHL Social Media Team will pick a winner at random. The 2017 Red Bull Air Race season comes to an end in Indianapolis. 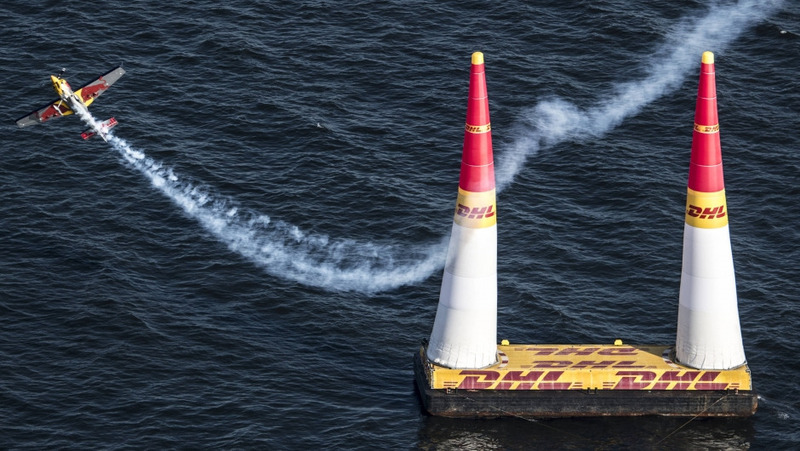 As Official Logistics Partner, DHL has transported the equipment used in this breathtaking race series from continent to continent and from race venue to race venue, including Abu Dhabi, San Diego and Budapest. The final leg of the itinerary takes the show from the Lausitzring to Indianapolis. 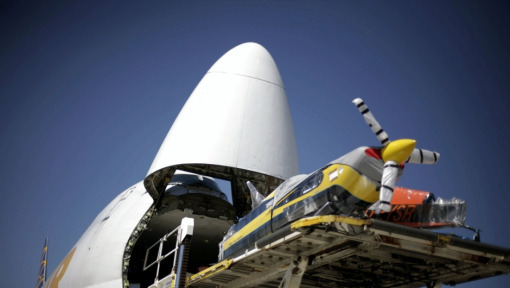 First of all, DHL will transport the aircraft over a distance of 522 kilometers by truck to Frankfurt, from where they will continue by air over a distance of 7,037 kilometers to Indianapolis. From the airport, there is a short journey by road of 20 kilometers to the racetrack. The DHL Fastest Lap Award was first presented in 2007 in Formula 1. Since 2016, the award has also been made in the Red Bull Air Race. The award is won by the pilot with the fastest time over one single lap on qualifying day. Our winner will present the trophy to the pilot with the most DHL fastest laps after the last qualifying session of the season. Deutsche Post AG's contest on Facebook is open only to individuals who are 21 years of age or older. Participation with a false identity or the identity of a third person is not permitted. Deutsche Post AG reserves the right to disqualify any participant who violates these eligibility requirements. Facebook users participate in the contest by accepting the conditions for participation and by the related post on the global DHL Motorsports Facebook page. The panel of judges, made up of members of the social media team responsible for the competition, will select the winners from the users who submitted correct entries. The social media team will publicly notify winners via Facebook of their status and request that the winners send the team their contact information. The contest ends on September 23, 2017, at 23:59 p.m. CEST. Participants affirm that they have sufficient rights of use to the materials they have posted. As part of their participation, entrants also affirm that they will not post/upload any political, pornographic, or morally offensive material/image or any material/image that glorifies violence, may harm minors, is punishable or otherwise unlawful, and indemnify Deutsche Post AG against any claim for damages that may arise from a violation of this warrant. If winners do not respond within two days after posting of the winner's notification, they lose any entitlement to receive a prize. Only one prize per winner will be awarded. Distribution of prizes will be performed by Deutsche Post AG. The data will be used solely for the purposes of conducting the contest and deleted upon its conclusion. Prizes will be sent to winners. Participants are not required to purchase or use the products and services of Deutsche Post DHL to participate in the contest, and such actions do not influence in any way whatsoever the outcome of the contest. All decisions are final and pay-outs in cash are excluded. The contest has no connection whatsoever with Facebook and has in no way been organized or supported by Facebook. I grant Deutsche Post AG and companies affiliated with Deutsche Post AG the non-exclusive, perpetual, and unlimited rights worldwide to use the content of the contributions uploaded in connection with the promotion. also utilize the contribution offline, for example in print. Deutsche Post AG can combine the contribution with other works, including altering or editing it, for all of the above-named purposes while respecting the personal rights of all parties. Also suitably edited versions, in particular extracts of the contribution, can be used as described. The granting of usage rights is free of charge. 1. It remains wholly within the discretion of Deutsche Post AG to determine whether the contribution will be published and used within the promotion and, if so, whether the identity of the participant will be visible. 2. In the event that the contribution is published and used by Deutsche Post AG, neither the family name nor the e-mail address of the participant will be published. However, I expressly declare my consent that my first name be given for the publication and use of the photograph/presentation. 3. Deutsche Post AG reserves the right to delete or block any contributions, in particular if these Competition Terms and Conditions are infringed or there is suspicion of such an infringement. 4. In the event that I should be liable for an infringement of the above-named Warranty of Rights and Permissions, I herewith release Deutsche Post AG from this liability and all claims connected with or resulting from it. Deutsche Post AG reserves the right to obtain from the participants written consent to the Competition Terms and Conditions above, or to the usage rights of the contribution.